Most people spend 1-2 hours touring the museum. 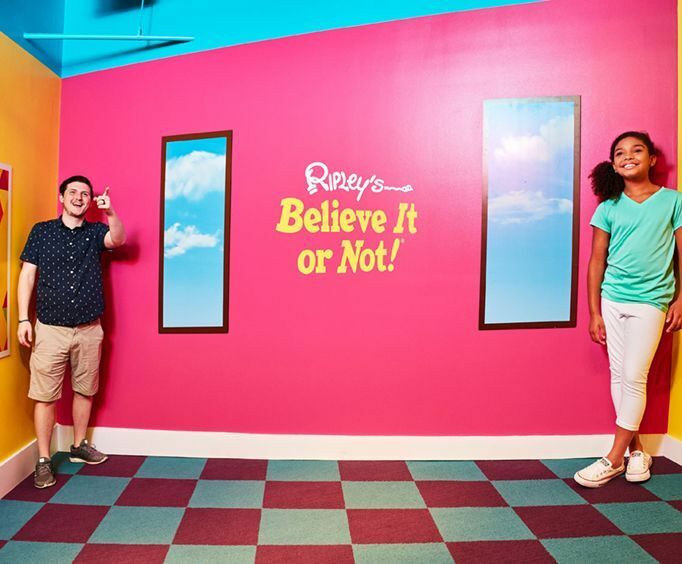 Ripley's Believe it or Not Museum admission. Whether you're into antique barber shop chairs for kids, animals with two heads or even an extra set of legs, paintings and caricatures created from phone books and candy, you will not regret making the decision to visit Ripley's museum! Containing hundreds of interesting, funny, and scary artifacts, there's something for everyone around every corner! You wouldn't think you could see so many interesting, odd things all in one building! The exterior looks like something out of a horror film, cracked and falling all over the place, representing the survival of a massive earthquake that made the Mississippi River reverse for a few days. Inside, taking up the entire three story building, so many oddities await your gaze, including a small, alien like mermaid, a portrait of Bob Marley created out of cassette tape, a giant Buddha made from over a million dollars worth of recycled money, and much more! There's something for everyone at Ripley's, including some things you wish you could unsee. Strange human conditions stand tall, and sometimes not so tall, as wax figures displaying their intriguing diseases or mutations for you to explore and study, if you have the guts to get close enough to look! You can even look at eclectic Tribal groups and their neat body modifications, such as lip plates and neck rings, as well as tools, masks, and items used in religious practices. In the lobby, Optimus Prime stands tall for you to see in all of his mechanic glory. You can also see a tree trunk with mountain goat horns protruding from it, where the horns had been basically eaten by the wood over hundreds of years. Another strange thing you can see is a wax 'death mask' taken of a man chased by the FBI for three months! You can also see things like Charles Manson's prison shirt, sushi made from dryer lint, and a train model made of matchsticks. This museum is full of the strange things seen and collected over the many years of Robert Ripley's life. He would be proud of just how amazing and strange his legacy has become over the years. 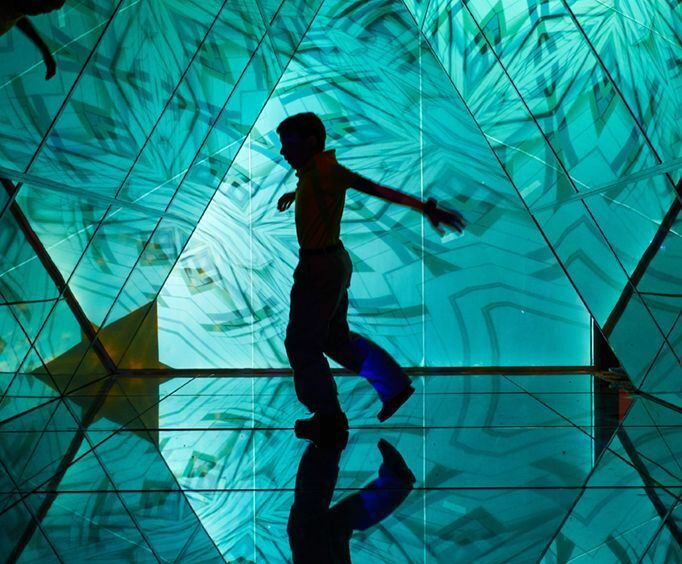 You can even meet a hologram of the genius behind the madness when you enter the museum, and hear the story of how he began collecting oddities. 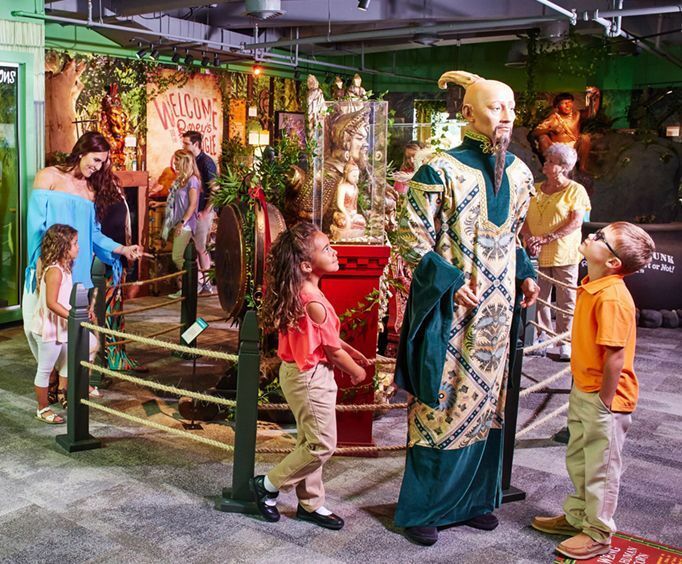 Be sure you wander off of the path of normality during your visit to Gatlinburg, and be sure you bring your camera, so you can prove to your friends that you really did see so many crazy things at Ripley's Believe it or Not! Museum. We really enjoyed our time in the different ripley attractions! The aquarium was fantastic. We have been to several aquariums throughout the us and we saw exhibits that we had never seen before. It was very impressive.